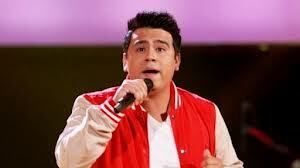 Bringing something new, last night Castillo was the first contestant to ever sing a song entirely in Spanish. Posted in BLOG, Breaking News, LATIN POP, LIVE SHOW, MEDIA, MUSICTagged Julio Cesar Castillo, The VoiceBookmark the permalink. Pop star Rihanna has given $1.75 million to a hospital in her Caribbean homeland of Barbados in memory of her late grandmother. Rihanna says the donation to buy three pieces of medical equipment was her way "giving back to Barbados." She made the comments during a Saturday ceremony with relatives at the island's Queen Elizabeth Hospital. The hospital's radiotherapy unit has been renamed the Clara Braithwaite Center for Oncology and Nuclear Medicine after Rihanna's grandmother, who died in June.